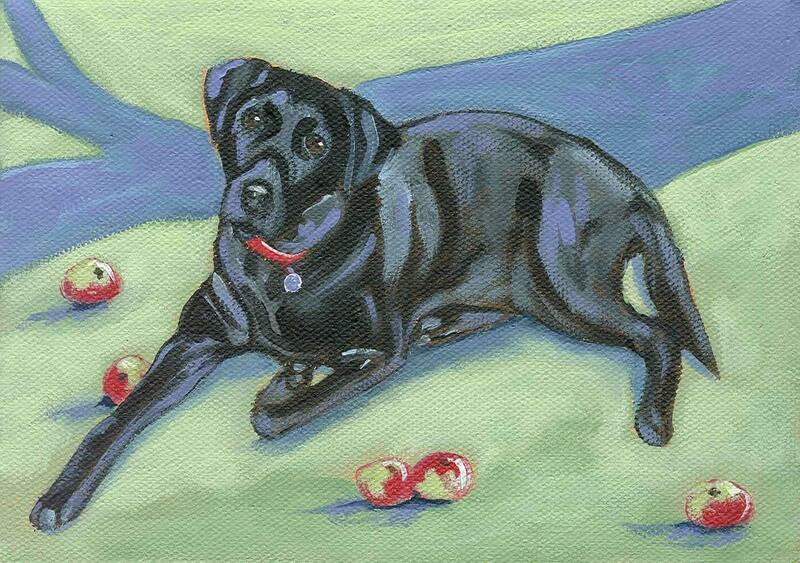 This is a portrait I did of a friend's beloved dog who passed away. He loved going to the apple orchard behind their house. A perfect card to send for Autumn celebrations! Each notecard measures approx 4x5" and comes with a matching envelope in a cello sleeve. The card is blank so you can write your own special message. I can not wait to send this ! It is perfect for my lab brother in law . Wonderful. Lightning fast shipping! Thanks so much, a very nice card!